UPDATE 2 — Perth-based bus and rail giant Stagecoach Group said on Thursday it agreed to sell its North America division to an affiliate of private equity firm Variant Equity Advisors LLC for an estimated enterprise value of $271 million. The cash proceeds will be used to reduce Stagecoach’s debt. The disposal is expected to complete by the end of the current financial year to April 27, 2019. Stagecoach shares soared on December 5 when it said it was considering a possible sale of all or part of its business in North America. On Thursday, Stagecoach CEO Martin Griffiths said: “During our two decades in the North American transportation market, our success included reinvigorating the inter-city coach sector and delivering growth with our innovative megabus.com brand. “We have a great team of people who have ensured we have played a leading role in the development of public transportation in the United States and Canada. “The sale of our North American operations will allow management to focus more closely on the significant opportunities for growth in the UK. Stagecoach’s North America Division operates bus and coach services. 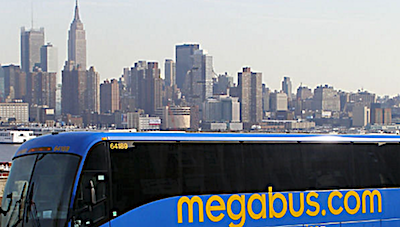 It provides megabus.com inter-city coach services, commuter services, airport transportation, sightseeing tours, charters and contract services across North America. It is one of the largest ground transportation operators in North America with around 4,500 employees and more than 2,000 buses and coaches. For the year to October 27, 2018, Stagecoach reported revenue of $619.4 million and operating profit of $21.7 million for the North America division. For the last full Stagecoach financial year to April 28, 2018, revenue for the North America division was $630 million, operating profit was $28.1 million and profit before tax was $23.8 million. The gross assets of the North America division as at October 27, 2018 were $478.6 million. “The Stagecoach board believes that the disposal represents an opportunity to realise an attractive valuation for the business whilst refocusing Stagecoach’s portfolio on the UK,” said Stagecoach.